The NC Department of Environmental Quality would add 45 jobs, primarily in water resources, and upgrade its outdated lab to address the statewide problem of emerging contaminants, according a portion of Gov. 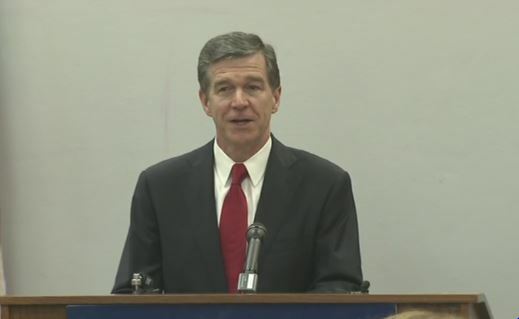 Roy Cooper’s draft budget released today. Under the proposal, DEQ would receive $7 million for water quality analysis and sampling of emerging contaminants, as well as for chipping away the 40 percent backlog of wastewater discharge permits. The Division of Air Quality would also receive part of that money to conduct rainwater sampling and analyze potential air pollutants across the state. Thirty-nine new full-time employees would study emerging contaminants in all water sources, including surface water, groundwater, wastewater, plus soil and sediment. $1 million to fund scientific equipment and laboratory analysis. Although a high-resolution mass spectrometer isn’t mentioned by name in the draft, that type of equipment — costing roughly $500,000 — depending on the model, is necessary to conduct the complex monitoring of emerging contaminants. Six new full-time employees would be hired and trained to use the equipment and process samples. $4.4 million for a “permit transformation” project that would provide public online access and tracking for all permits. $1.5 million to upgrade the Reedy Creek Laboratory, where scientists analyze air and water samples. Built in 1991, the facility has not been substantially renovated since. $536,000 for Department of Health and Human Services to hire a medical risk assessor, a Ph.D level-environmental toxicologist, a public health educator and a public health epidemiologist. This DHHS appropriate is the same amount of funding and personnel that Cooper requested last August, but that the legislature did not approve. The short session begins May 16, when the legislature is expected to consider the recommendation.